Stay ahead of the latest technology, industry trends, verticals, and key strategic focus areas with Intel® Channel Training. Expand your knowledge and skills with courses available to Intel® Technology Providers. Get an overview of BigDL and learn how you can leverage existing Hadoop/Spark clusters to run your deep learning applications with high performance and efficient scale-out. Get a quick introduction on transfer learning and how it can be used to run deep learning training. Get an overview of the breakthrough performance made possible by Intel® Optane™ technology in Memory and SSDs. Learn about the IoT opportunities in the channel and how you can earn Specialty Benefits selling IoT. Learn how SMB Server Blocks, configured, fully validated entry-level servers, will benefit your customers and help you deliver a quality product faster to stay ahead of the competition. Understand the key benefits of this new processor, such as significant improvements in media and graphics performance, new and immersive user experiences, hardware-enhanced Intel® Security Technologies, and more! 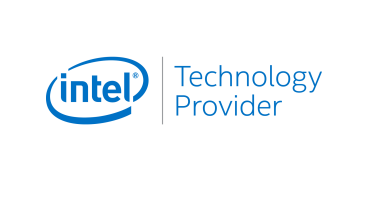 As an Intel® Technology Provider, you can register for events and training opportunities.